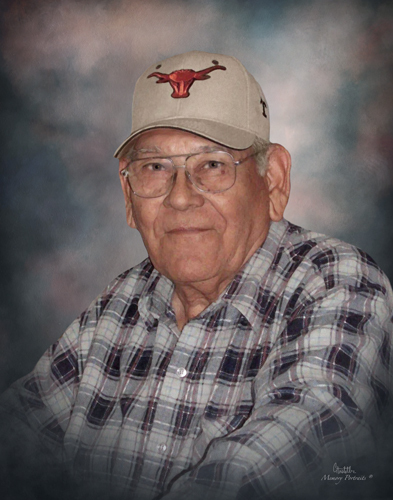 Manuel A. Rea was called home on Monday, March 18, 2019 to reunite with his loved ones at the age of 89. He was born on December 29, 1929 to Elena and Julian Rea in Realitos, Texas. He was a hard-working man, always providing for his family and setting a wonderful example of a loving husband and father. He had a strong faith in God and served as a Prayer Warrior. He taught his family a strong work ethic by example, as he worked for Flournoy Drilling Company as foreman until his retirement. Whatever he did, he put forth the best of his ability. He was preceded in death by his parents, his loving wife, Maria Trejo Rea, and one brother, Benito Rea. Manuel is survived by his two sons, Victor Manuel Rea and Gilberto (Emelda) Rea both of Alice; his two daughters, Maria Elena (Alex) Sanchez of Alice and Gloria Lilia (Santiago) Vasquez of Austin; three brothers, Ernesto Rea of San Antonio, Julian (Irma) Rea, Jr. of Alice, and Refugio (Irma) Rea of Bishop; two sisters, Elena Montalvo of Premont and Leonor (Jesus) Rea-Castillo of Corpus Christi; twelve grandchildren and seven great-grandchildren; numerous nieces and nephews and a host of friends. Visitation will be held on Sunday, March 24, 2019 from 5:00 p.m. until 9:00 p.m. with a Prayer Service at 7:00 p.m. at Holmgreen Mortuary Chapel. Funeral Service will be celebrated at 10:00 a.m. on Monday, March 25, 2019 at Holmgreen Mortuary Chapel. Interment will follow at Roberson-Collins Cemetery.